Shabbat shalom Great House of Yahweh! 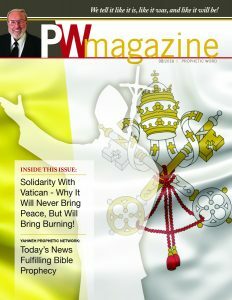 Please thank You very much for the PW magazines,and News letters,truely they are so helpful,they have helped me very much to stand firm in this faith,i don’t know what to say,the only thing i can say is,THANK YOU PLEASE!!! I REALLY LOVE YOU GREAT HOUSE OF YAHWEH! Blessed be our Holy God who Loves us dearly.